This website is a great example of how different a theme can be from one site to the next. I used the Divi theme for the first time on our ecommerce site The Little Back Book Store. I used the same theme for this site. It is so flexible and easy to design that you’ll notice this website looks completely different. 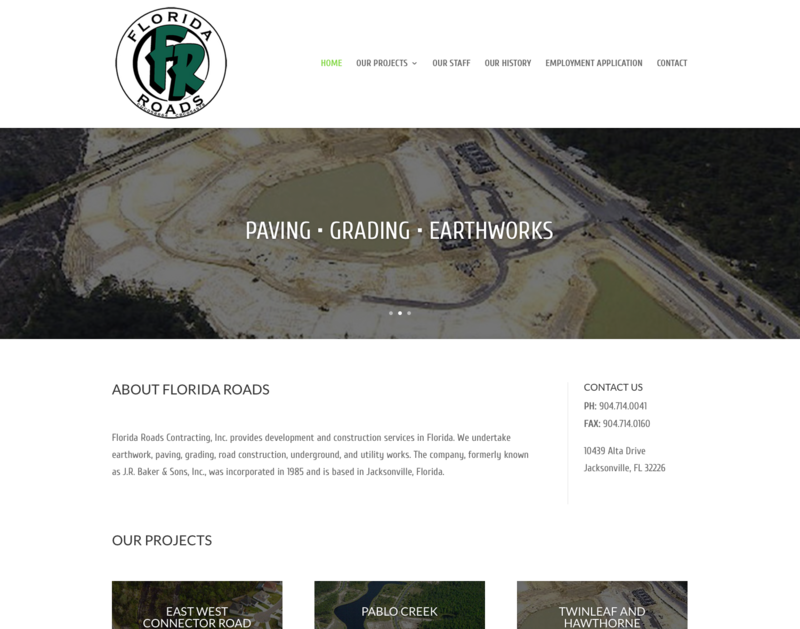 Florida Roads Contracting is a wonderful client to work with and we were happy to provide them with a website that highlighted their services while providing a design that was on par with their competitors’ – maybe even above and beyond, if we do say so ourselves. We also used the Gravity Forms plugin (such a great plugin!) for their online employment application.